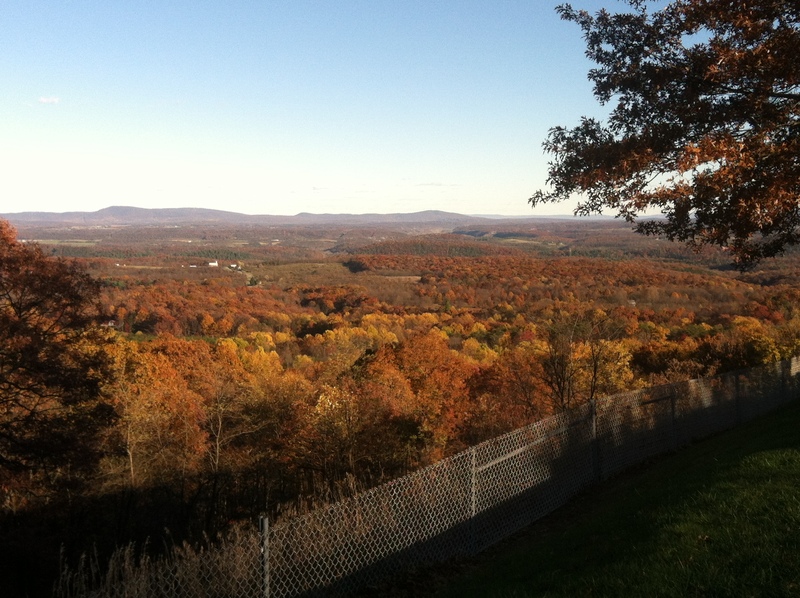 Black bear sightings in Shenandoah National Park are definitely increasing lately! (More on this in a later post) If you do spot a bear, there are at least two places nearby where you can officially record your sightings. A binder log for visitors to log their encounters can be found in the Big Meadows Lodge lobby, usually on the table by the standing bear mannequin. 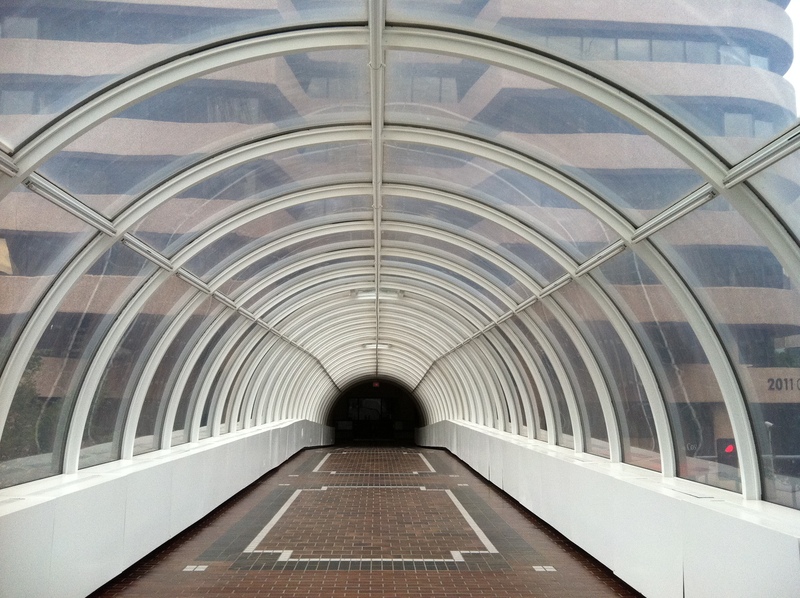 (Sometimes the binder gets moved to the great room just beyond the lobby.) 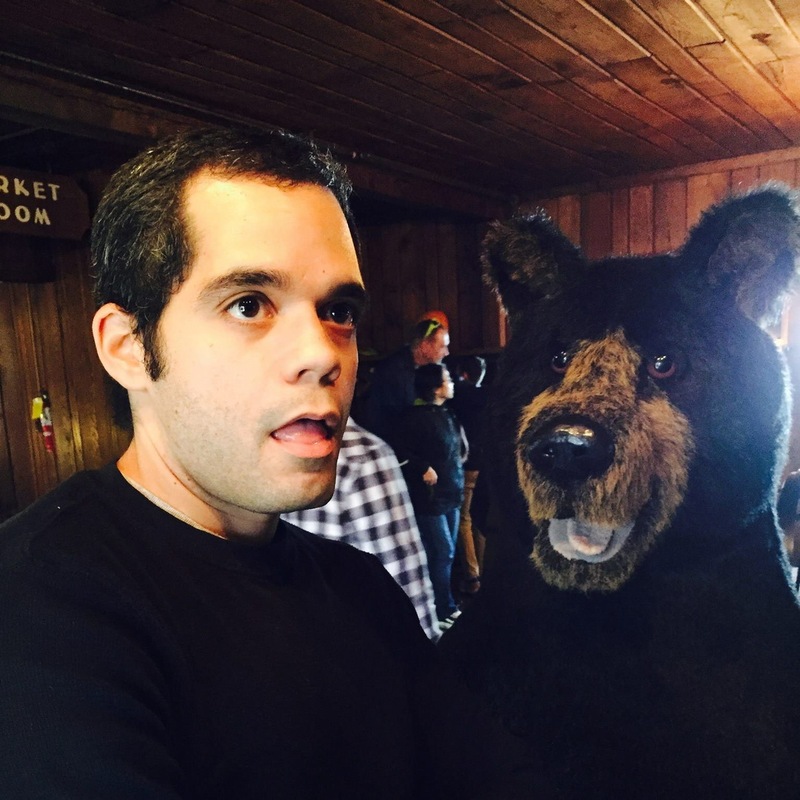 I was thrilled to finally have the chance to record my first bear sighting a couple of years ago. I’ve seen several bears since that ursine greeter surprised us by the side of Skyline Drive, so using the “bear book” is becoming something of a tradition. 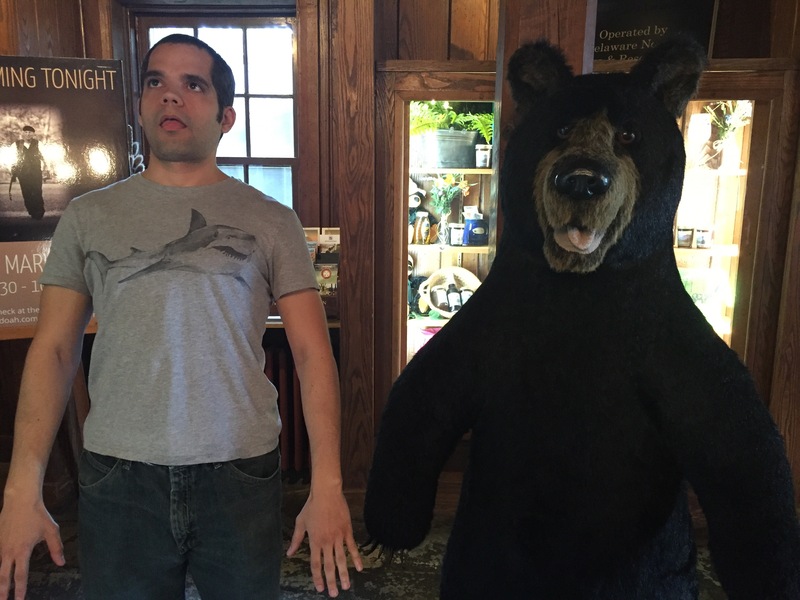 Another fun tradition is getting my husband to take photos with the aforementioned bear mannequin at the lodge! He doesn’t need much prompting to do something silly, believe me. A second place to record bear sightings is the wildlife plant and animal log at the Byrd Visitor Center (by the Big Meadows Wayside). Eric and I once realized we had met a rare Shenandoah salamander on the Appalachian Trail and we may have recorded our discovery in this very book. I’m sure there are other places to note your sightings in the park – bear or otherwise! If you know of such a place, please leave a note in the comments! The beautiful sight of Washington as I fly back home never gets old. Monuments, the Pentagon, and the Potomac all look just inches away as we touch down at DCA (Reagan National). Sometimes it looks like the plane might land right in the water. The delighted gasps of first time visitors as they see the Washington Monument and the Capitol staring back at them through their window is nearly as wonderful as seeing it myself. Flying home from CAE (the grand little Columbia, South Carolina airport) last week gave me an additional special treat of seeing our gorgeous Virginia fall colors from the air. It looked like someone had dropped paint balls all over the trees. Some foliage was so incredibly bright that I genuinely mistook one solitary tree for an orange tarp in someone’s back yard! I have been feeling very restless this weekend! I figured out it’s because my feet are on the ground! 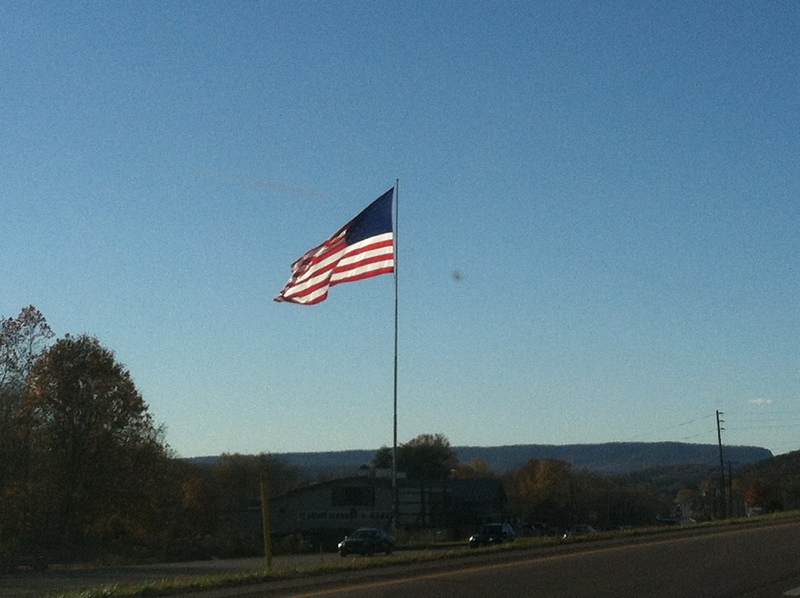 I feel like I should be headed back over to a drop zone for another skydive! That is no exaggeration; that’s honestly how I feel. 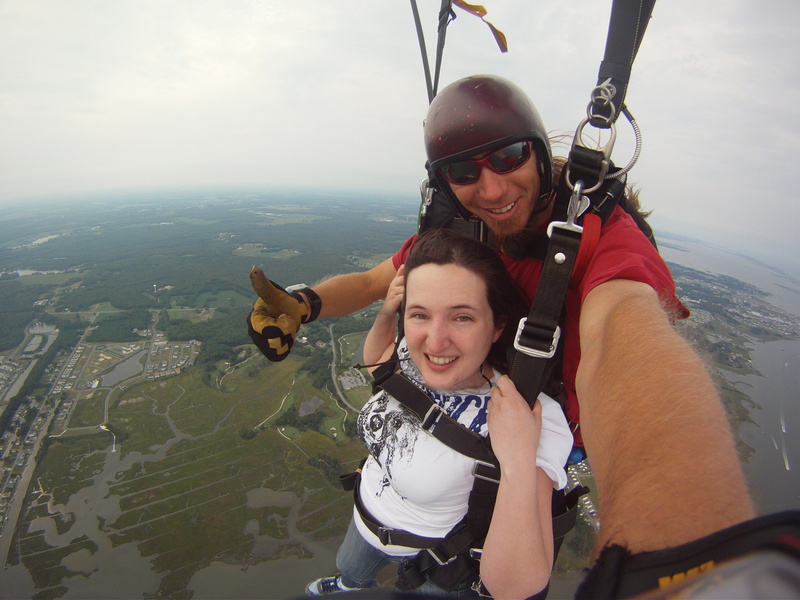 This time I chose Skydive OC in Berlin (Maryland – right next to Ocean City) and planned to jump on my 30th birthday. Was I disappointed when I came down with a nasty cold that same week and had to postpone it because of my congested sinuses! (It’s a terrible idea to jump with congestion, of course.) 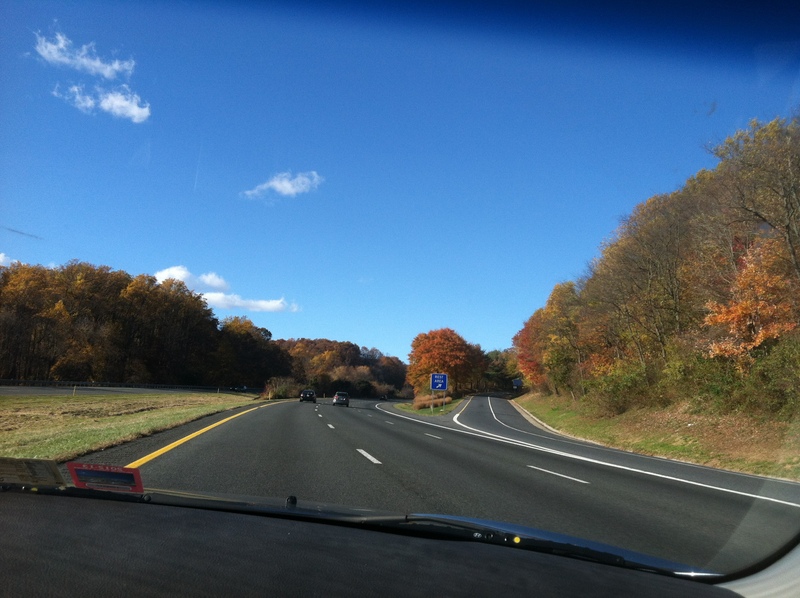 I rescheduled for two weeks later, and my wonderful sister and brother-in-law drove me out there from their home in Gaithersburg on Saturday. It was a LONNNNNNNG drive, bless their souls. Some clouds and approaching thunderstorms pushed back the time by a few hours. We went and had some lunch at the Greene Turtle sports bar up the road and then came back just in time for the jump. There was no long waiting around for endless hours on end with no updates as with the last site. I only wish the drive (to either site) wasn’t so long from Arlington. Although it is doable in one day, I would recommend making a weekend OC vacation out of it so that you don’t have to battle nasty Bay Bridge tourist traffic on the same day that you jump. I am very grateful to Cat and Rob for driving me; they are sweethearts. 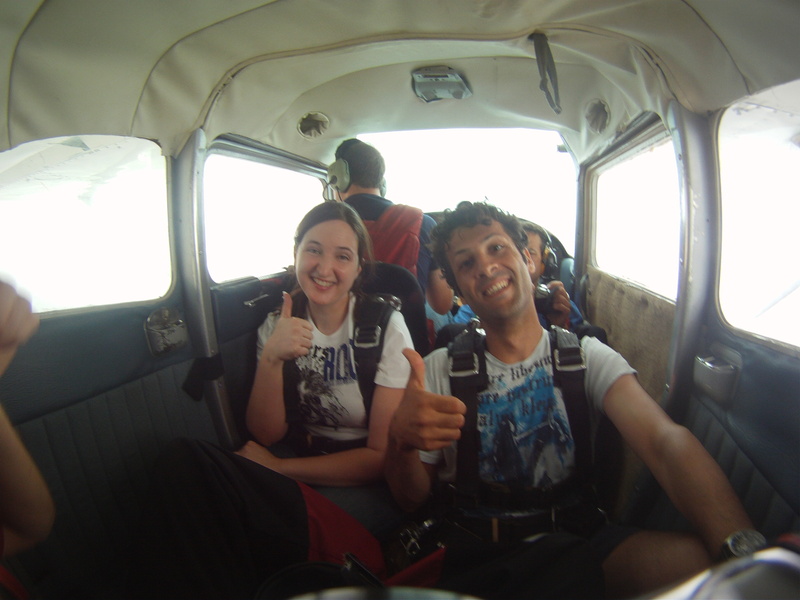 The lesson for the tandem skydive was very quick – we watched a video and then practiced our stance a few times. The instructors were very professional, clear, and positive. But I was surprised to find I was a bit jittery depsite having done this before. Not that I expected to feel like a know-it-all, but I was kind of nervous even though I knew most of what would happen. 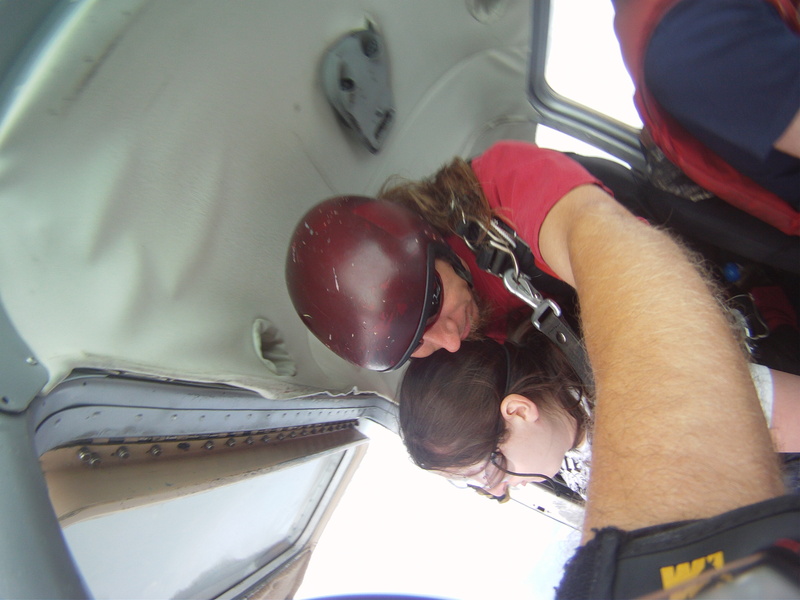 After we were strapped into everything, we went right out to the plane. I told my tandem instructor, Daniel, as we went up that I was feeling jitters and wasn’t sure why. He said that is normal and that his pre-jump jitters lasted until he had completed about 30 jumps. (He now has over 15,000 to his credit and has been jumping for 17 years.) 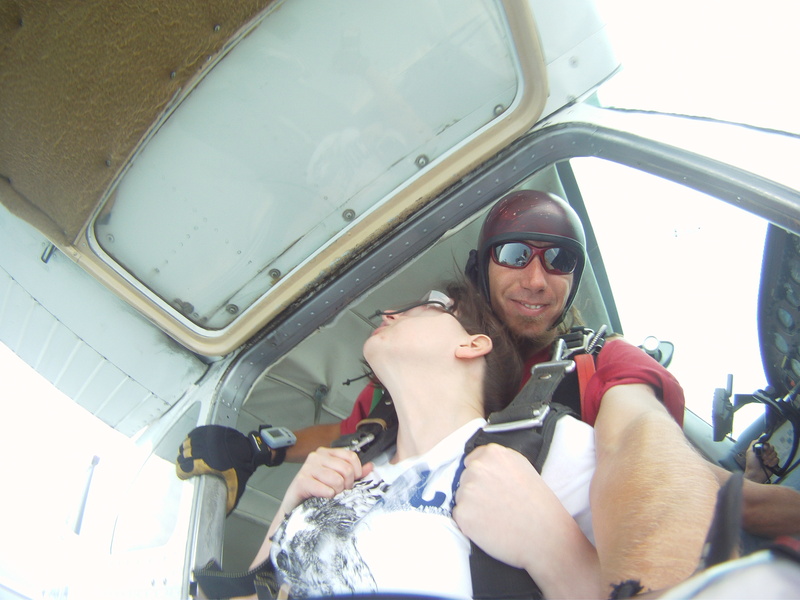 When we left the plane I felt no real fear, just a sensation of “Okay, here we go …” When we fell out this time, we did a complete flip in the air! So fun! There was no fear at all during this jump, only pure exhiliration. The view is unbelievable. We were straight over the ocean. I truly felt like I was flying. It sounds cheesy, but the sensation of jumping has only been matched in my dreams – when I was a girl, I dreamed about flying all the time. 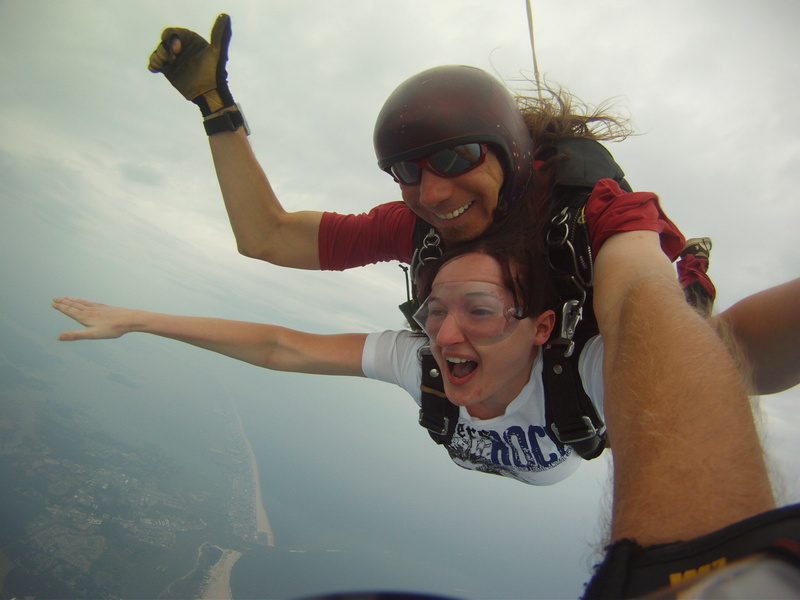 My only complaint about skydiving is the brief amount of time that you are in the air! I felt like I could go again and again all day, and obviously people do, all the time. So would I if I had the money to spare. Can you imagine the feeling of being up in the air all alone, no tandem, no other jumpers, saying goodbye the pilot and then being more alone than you could ever be elsewhere … just you and the sky and the birds. I wish it wasn’t such an expensive sport. I adore it and would like to pursue my USPA “A” class license as soon as possible. 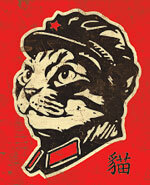 There is a school in Orange County (VA) and I am looking into beginning courses next summer. Once you are licensed, you can jump by yourself at most sites and pay the pilot a small fee ($20 to $30 from what I read) to take you up! Here are some pictures taken by Daniel. 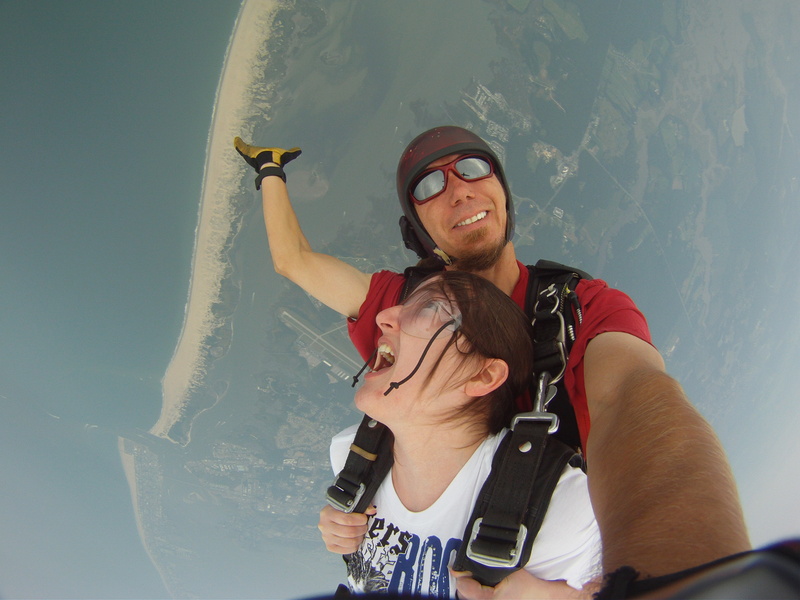 You can purchase a disc of photos, a jump video, and/or a landing photo at Skydive OC. There are other pics on this disc that are hilarious because you can see the skin on my face and arms rippling in the wind like I’m made of clay … HAHAHA. Well, I left those out. I strongly recommend Skydive OC as a jump site. No disrespect meant to the other DZ, but it blew them out of the water in nearly every way. I look forward to returning and learning more about the sport. I am up for a dive any time. Click on each picture to enlarge to the full size in a separate window. 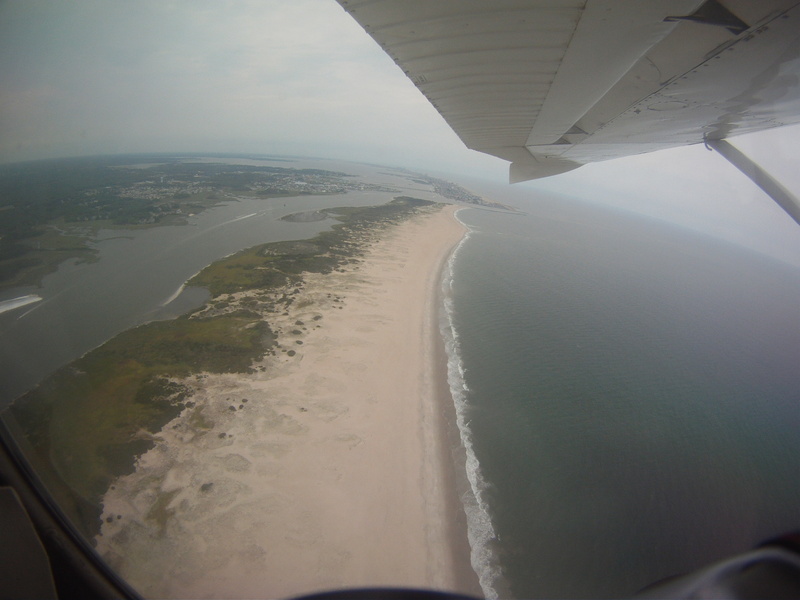 A view of the Ocean City beach strip and surrounding areas, less than 2/3 of the way up! Checking out the view on our ascent! With my fellow jumper! 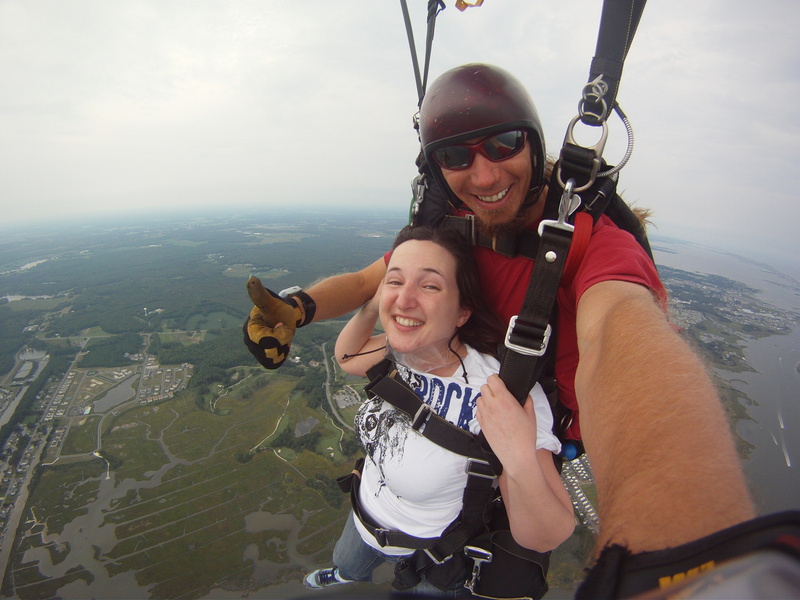 He was a first-time jumper, but had a lot of neat stories about hang-gliding in Turkey! 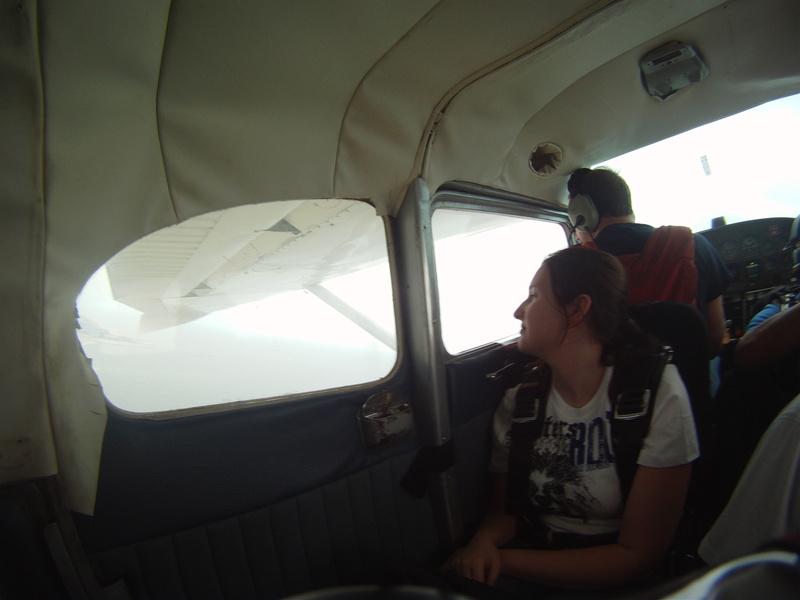 Behind us are the pilot and the other instructor. Preparing to exit the plane! Getting into the proper stance with my head back. Look at the instructor's right wrist - that's the altimeter that tells him how far above ground we are (at least 12,000 feet)! 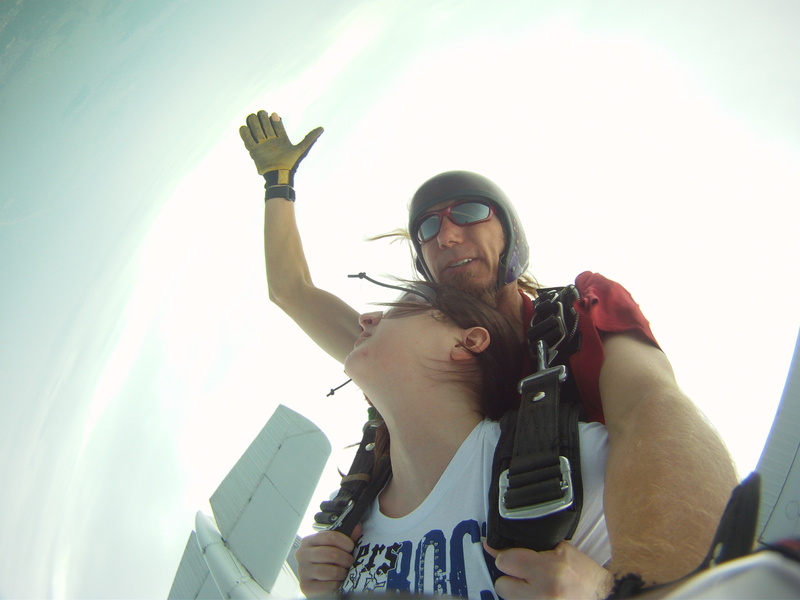 Here we go into freefall with a backflip off of the plane! Keeping my hands on my straps early in the fall - once the instructor taps you, you can put your arms out! 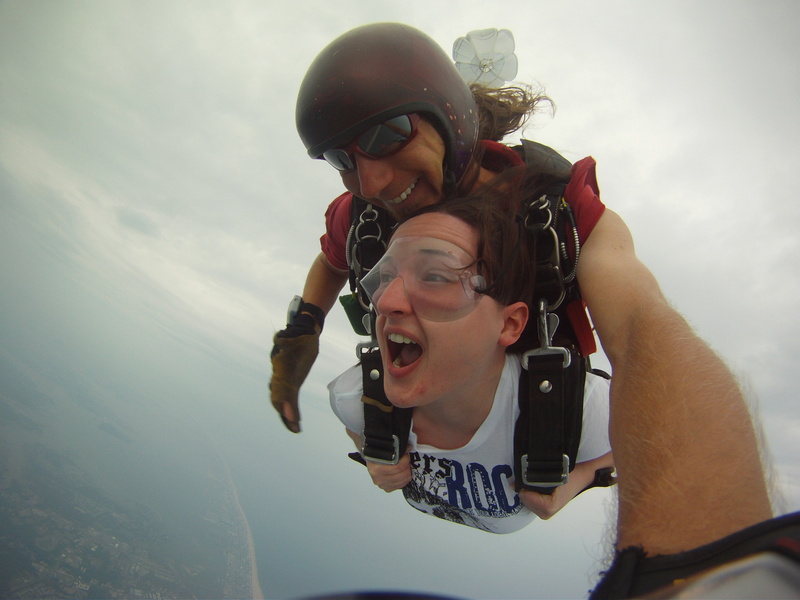 In free fall, plummeting about 120 miles per hour over the ocean! Update, 5/27/2016: This Arlington Walkabout seems to have been updated since we last visited. Yay! Maybe now it will make more sense. We will plan to give it a try again this summer.